You can personalize this product. Add names to your team’s clothing. Canada Sportswear is a respected provider of promotional apparel and their 7200 Full Zip Soft Shell is quite possibly their best Jacket. Offering durable production and materials at an extremely low price is testament to the popularity of this jacket. Add your logo with custom embroidery or heat sealed vinyl imprinting and you have yourself a spring and fall soft shell suitable for any business or sports team. • Two zippered front pockets. Custom embroidery of your logo or design is the best finishing process on soft shell and winter jackets. Setup costs for one location with up to 10,000 stitches are included in the online price. Additional setup costs for more locations. 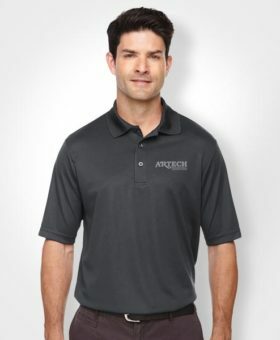 Artech Promotional pride themselves on quality embroidery and with an award winning team you won't be disappointed. Vinyl transfers can be digitally printed in full colour or CAD Cut from various colours to suite your requirements. This process is excellent for small orders. Setup costs are included in the online price, however if you wish to use this process for large quantity we recommend contacting us for a quote of your custom apparel.